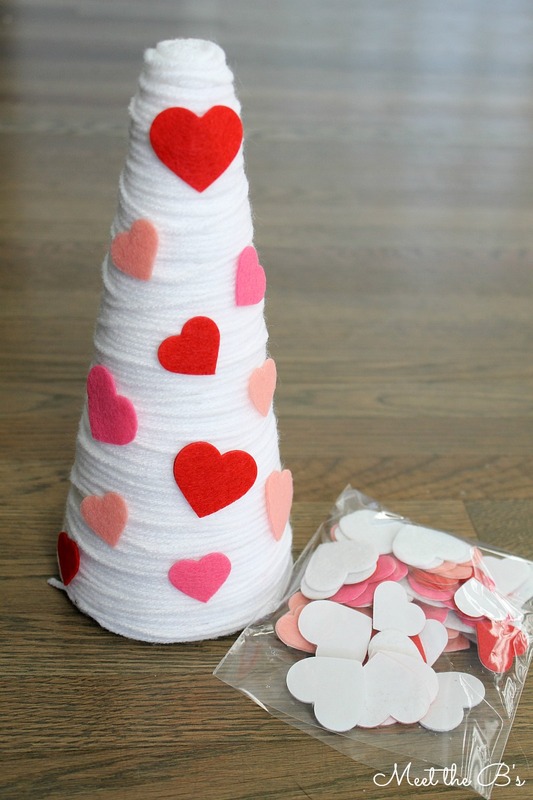 Valentine's Day is one of those holidays that I would love to decorate for, but I just don't have many decor items accumulated for it yet! I have a few little cute signs, but not much else. I love all of the sweet decorations I see everywhere and would love to start being able to decorate every year. I decided to make some Valentine's Day crafts to help add some festiveness to our home. With a newborn, I needed something quick and easy to make. So I made these cute little yarn trees that could easily be interchangeable for any holiday! 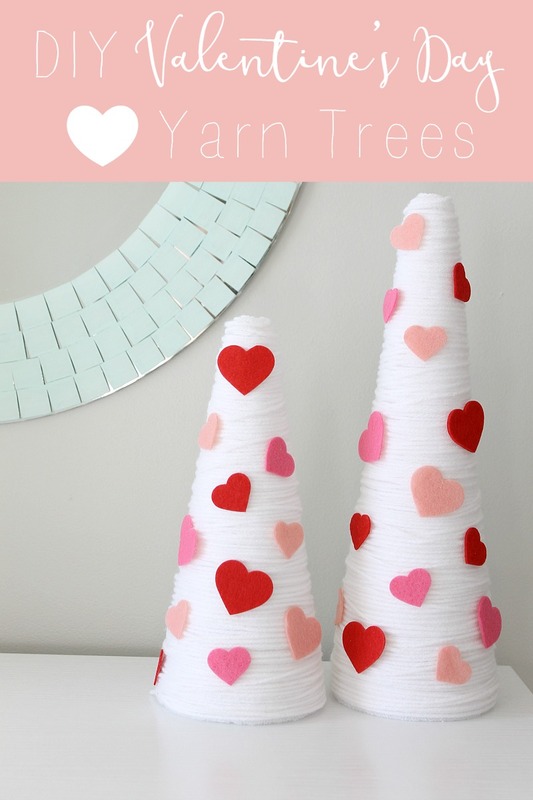 I found a few tutorials for yarn trees using rolled poster board or card stock to make the cone and then gluing the yarn to the cone. 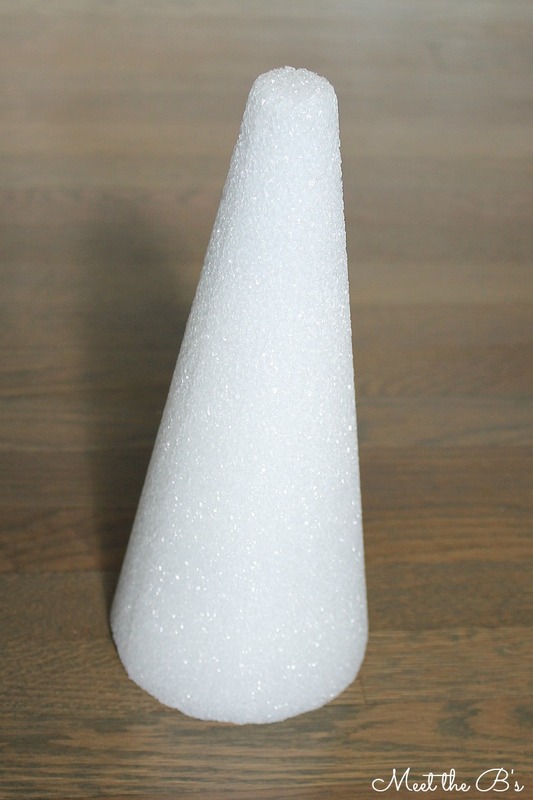 That sounded time consuming and messy to me, so I bought a couple of styrofoam cones instead. 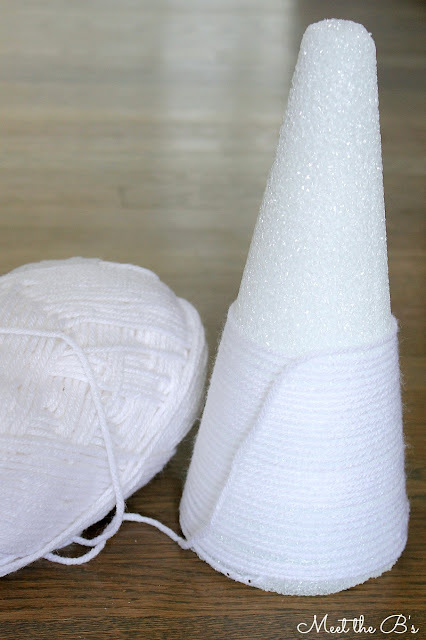 I started by using two straight pins to hold the end of the yarn to the bottom of the cone. And then I just started wrapping! Don't worry about it being perfect. You can fill in the gaps later. 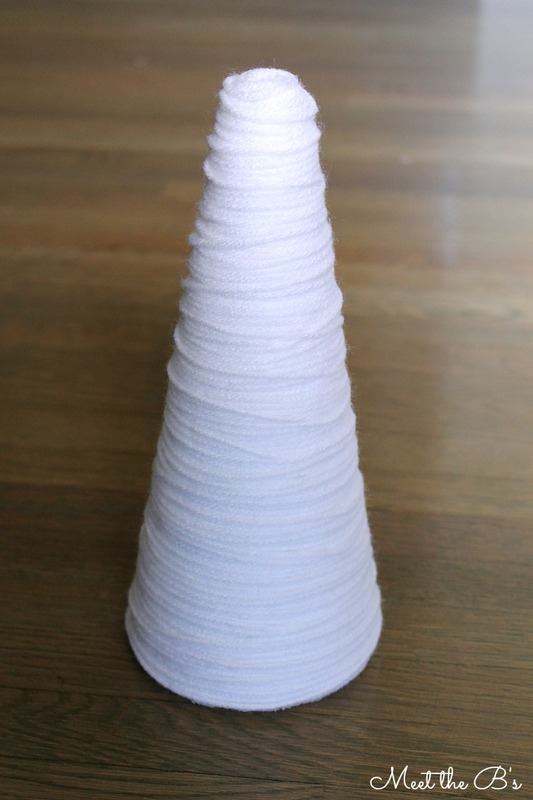 Once I got to the top, I coiled the yarn to cover the flat top of the cone. I added some Elmer's glue to help hold the coil in place and used a straight pin to hold it just while the glue was drying. Then I continued wrapping, now from top to bottom. I filled in any visible gaps and did some overlapping to give it a more messy look. 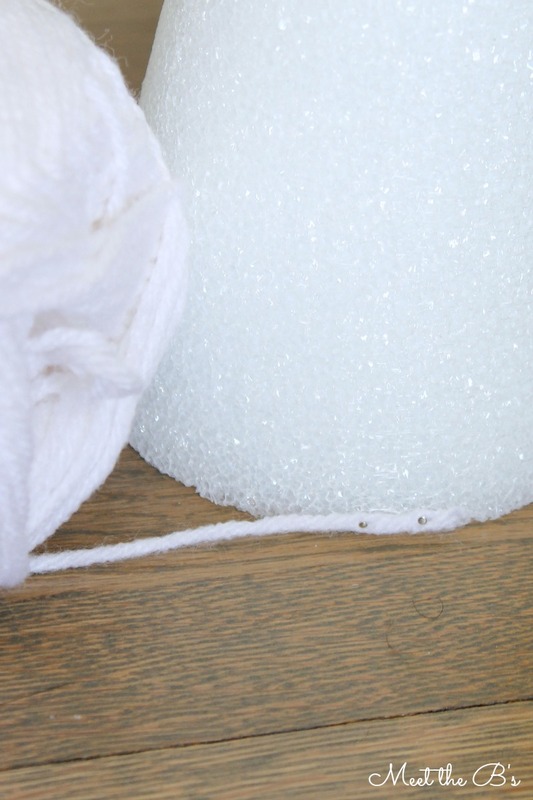 Once I got to the bottom, I again used two pins to hold the yarn and then cut off the end. 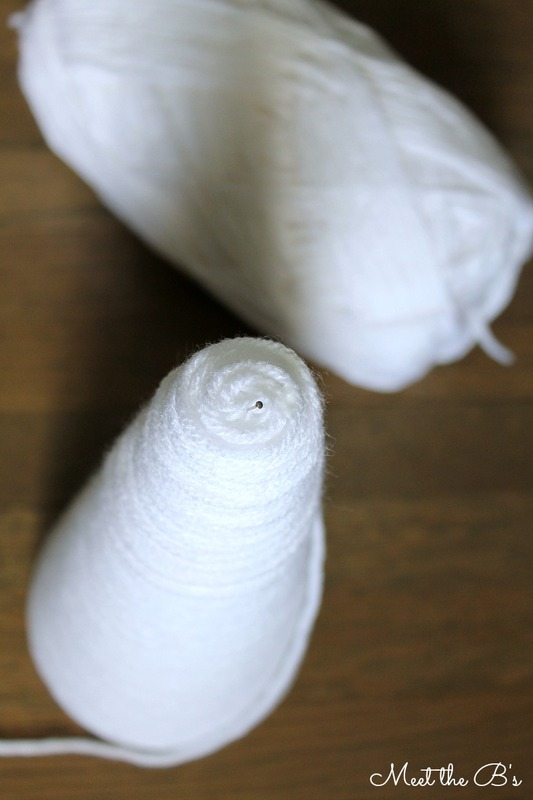 Now you have a plain white yarn tree that you can easily adapt every season. I can see Cade having fun helping me change out the holiday stickers in a few years! Since it's Valentine's Day, I applied these cute little foam heart shaped stickers. This fun craft was cheap to make and only took about 15 minutes! 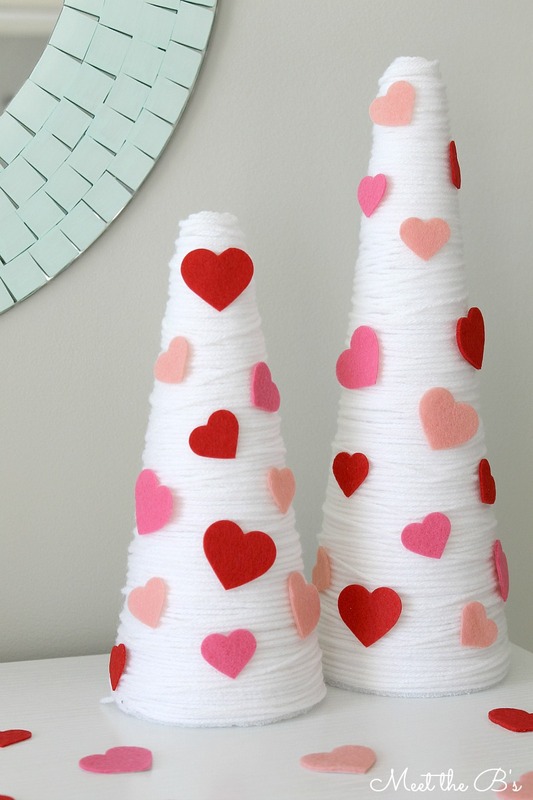 Such an easy decor idea! These are so cute! 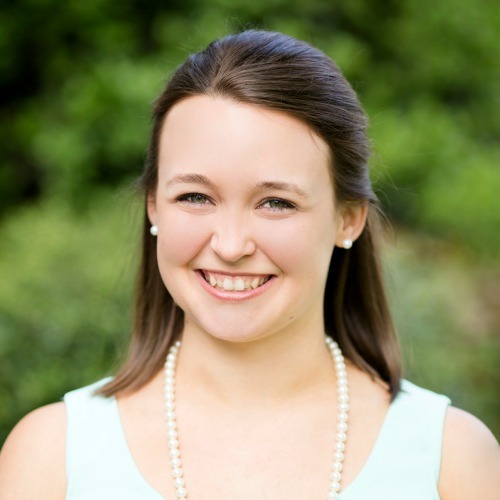 Love them-- a simple DIY is the best! Thanks Emilia!! 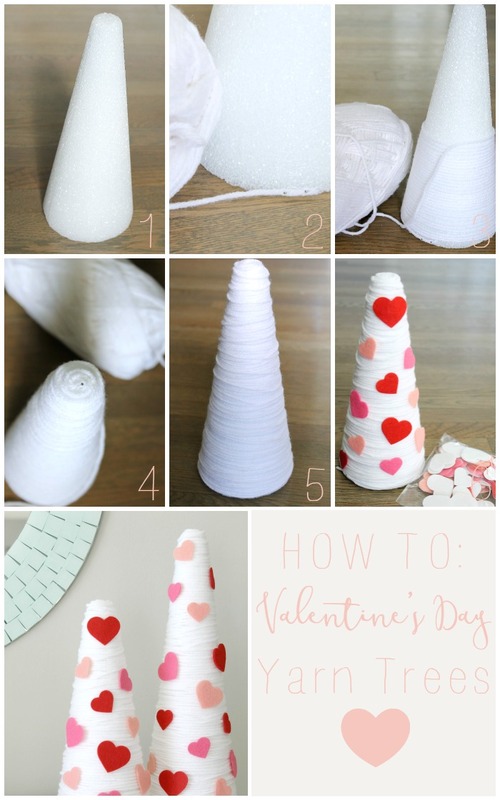 I love quick and easy crafts!! !